I am not going to tell you how to install jasmine-node, nor how to make jasmine assertions, nor how to install mocha, nor convince you that you need unit tests, nor convince you that you need grunt, nor anything else. Have istanbul installed either globally or locally. Have your integration tests written in jasmine. Have your unit tests written in jasmine. 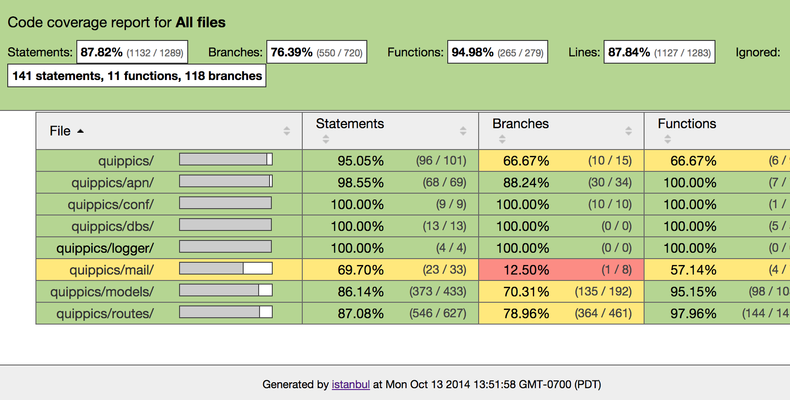 Run your tests using istanbul. 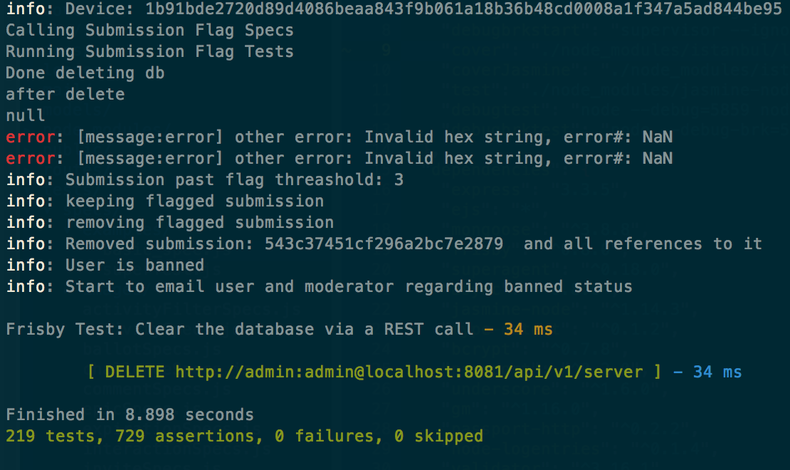 If you normally run your jasmine tests by doing the following, ./node_modules/jasmine-node/bin/jasmine-node ./tests/runner_spec.js --verbose --captureExceptions you will instead run it like this ./node_modules/istanbul/lib/cli.js cover --report none --dir coverage/unit ./node_modules/jasmine-node/bin/jasmine-node -- ./tests/runner_spec.js --verbose --captureExceptions Notice how I have picked an alternate directory for my unit tests with the '--dir' option. I want them to go into the ./coverage/unit folder. Also, any options that you want to pass to jasmine-node you will need to place after --. End those processes, you should see some coverage information as you do so. Go to your ./coverage/lcov-report/index.html and check out your coverage levels. Not bad!! !